This project turned out to be quite the collaboration between makers. 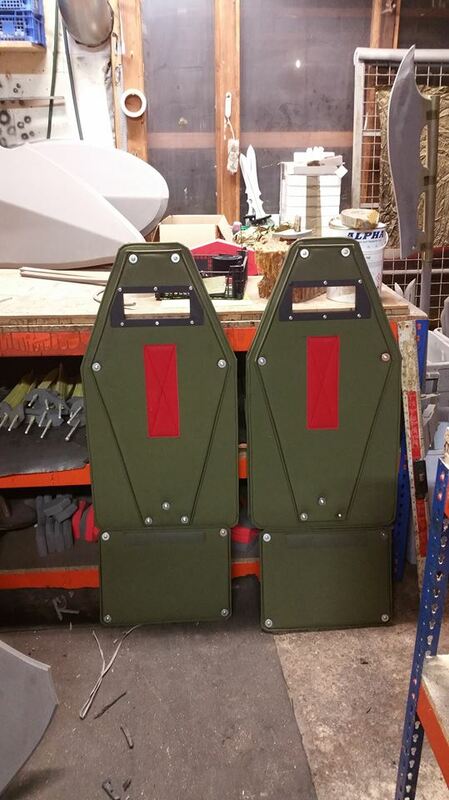 I was asked by Eldritch to cut some thick ABS plastic that was going to go inside a pair of ballistic shields. There is a growing crossover between LARP and Airsoft and new rules being developed to cope with both. 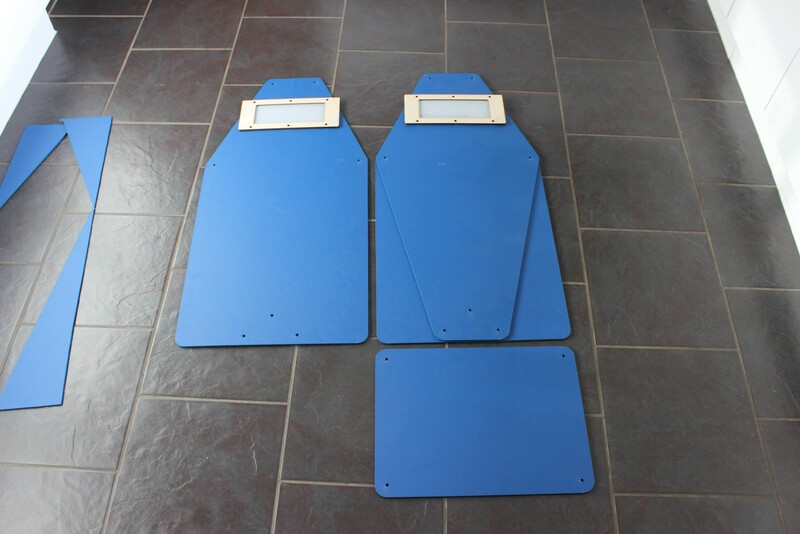 These shields don't have to follow the normal, foam rules, and actually need to be stiffer and stronger to withstand all the incoming ball bearings. The possibilities of windows in shields now becomes an option so I cut some 6mm perspex for windows and wooden surrounds to hold them all into place on the shield. 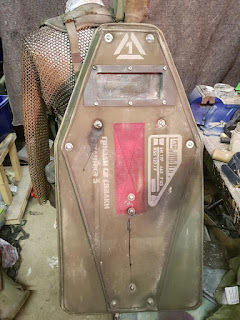 The shields then went on to Eldritch who covered them in a layer of foam, bolted all the parts together and generally turned them into functional shields. 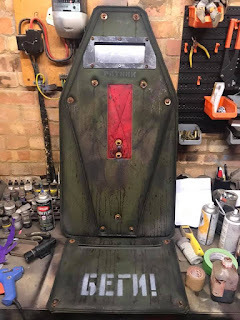 These shields look great however nice shiny shields don't really fit into the post apocalyptic style game they were destined for, that's when the owners took over and did a pretty epic job of weathering the shields ready for the event. Junkyard Grizzly took one shield and Dust Monkey took the other adding their own personal style. These things look amazing and fit right in to the Metro style game they were destined for. I didn't sell very many and I'm not sure any were going to be used as wine bottle boxes, one lady wanted to put plants in it and another was going to put fairy lights in hers. Neither wanted the the custom labels so I'm pleased they were only held on with blue tak. It's definitely given me food for thought with the next craft faire looming. My Kickstarter campaign just entered the final 48 hours, it's currently just under £12,000 raised or 1200% funded which actually makes it more successful than the first time around (especially if you count all the increased sales of the existing 4 designs). There is still time to hop on the bandwagon though and get yourself some of the new puzzles hot off the press. Or please share the link one more time if you know someone that would like them. It's going to be a busy month next month but at least I should have some time in between puzzle runs to blog all the things I've been making this month. It took a long time to assemble this so I lived with my initial design choices but if I were to remake it I would adjust the file to make the ring locking bars out of 6mm ply and maybe put some blind holes onto the code rings to prevent the code being brute forced.